People say that everything new is something old and forgotten. In our case the new is the result of combination of ancient music experience with the demand to find unique sound that could broaden horizons of musical perception. Hang, also recognized as "hang drum", is a new musical instrument. This time our story will be about this hang. Hang was born in 2000 in Bern (Switzerland city). It was created by Felix Rohner and Sabina Scharer. 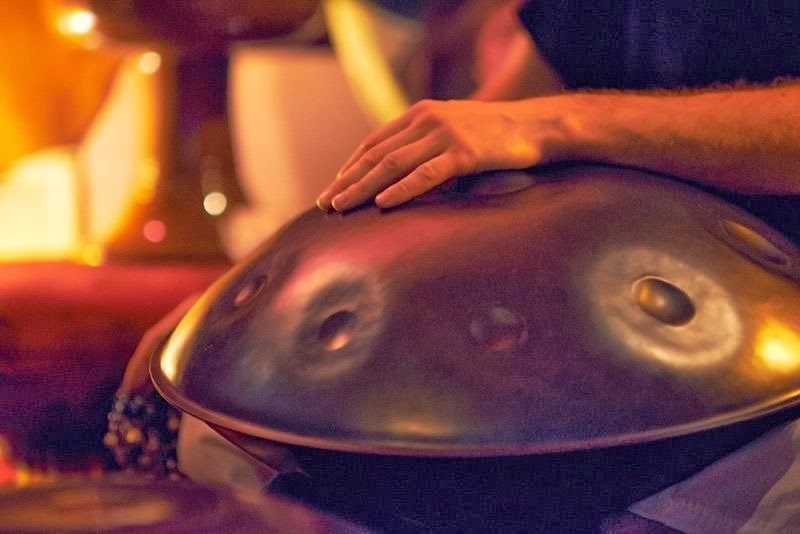 They were inspired by the idea to turn into reality their long-term researches in vibrant percussive instruments: gong, drums, singing bowls, bells, gamelans and other instruments that were found in different parts of the world. Hang (hang means "hand" translated from Bern dialect of German language) primarily was used to be sold in internet-shops, but later on free sale was stopped because of high demand. During approximately last 10 years hang was available only for a narrow circle of people because of high prices and difficulties in purchasing. Only over the last years situation has changed. New alternatives are appearing, so called “hang analogs” that are produced in more than10 countries. Such instruments have received general name - hand pan. Popularity of such instruments is increasing: thousand people are excited by unique sound, they go to great lengths to touch the magic metal pan. So, what really attracts people? What are hidden capabilities of this specific instrument? More than just a musical instrument. It is common knowledge that sound is a wave and everything surrounding us is full of vibrations. In old time doctors in Tibet, India and China noticed that sound with different frequencies can affect our body in a different way. For example, there exists the system in India – the system of correspondence of particular sounds with energy centers (chakras) and this system lets to harmonize organ functioning . 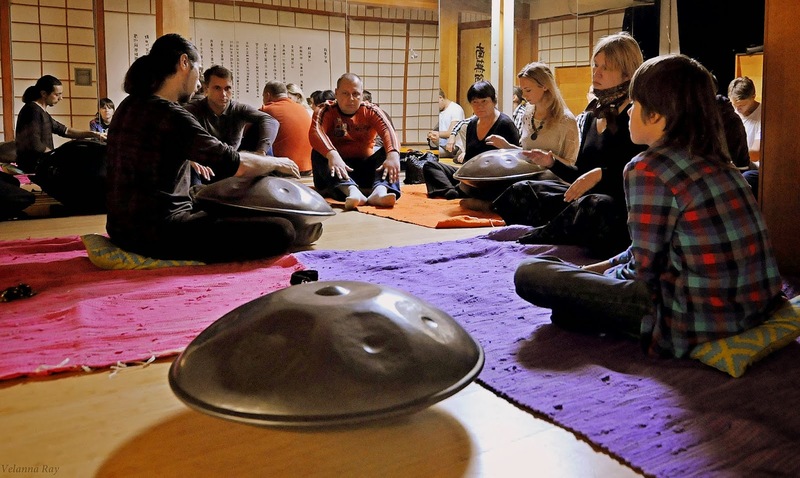 Gong and singing bowls (primarily they were intended for shamanistic practices) were used as curative instruments. Sound massage was very popular in Tibet: several bowls of different sizes were put next to chakras or on human body (depending of charka position). This is very popular, still now exists all over the world. Hang has inherited the sound and traditions of ancient instruments and it also affects human body. Sound is coming more softly and liquid out of the whole body of hang and vibrations passed to human body spread along the whole body more integrally. We see that hang can become modern alternative of time-proved curative practices. Hang: teaching and space for joint creativity. In spite of the fact that hang still now isn’t widespread, gradually special places are being created in the world where people can touch the instrument, learn to play it and create musical groups. 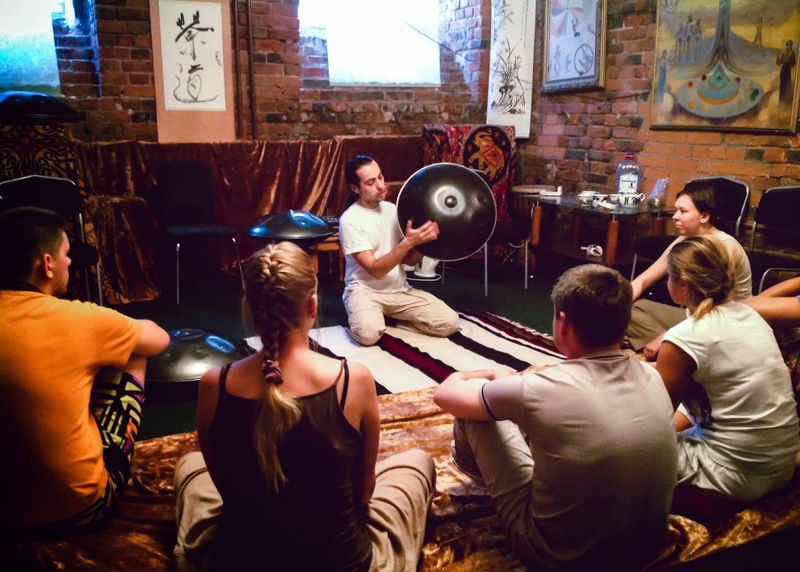 Now in Russia exists only one such place that opened its doors in August 2013 - "SUNSET class"(http://hang-drum.org/sunset/) – that was founded by Yuri Rubin (Morpheus). Yuri is a percussionist, he owns large collection of ethnic musical instruments. For many years he has been searching “his ideal sound” via studying instruments, cultures and world traditional rhythms. Finally, he has discovered hang. We asked Yura to tell about history of the project "SUNSET class" and possibilities that open the door to its participants. 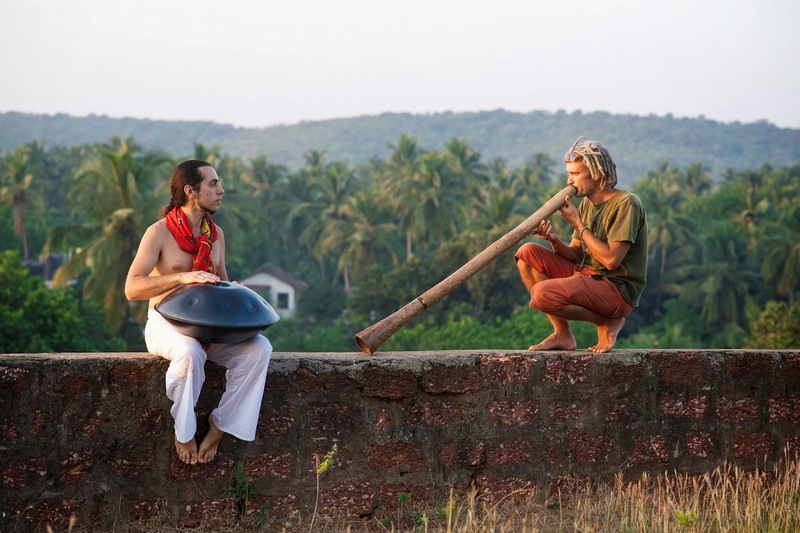 There is a place in North GOA where world hang players get together. The beautiful tradition- to accompany setting sun with music on the ocean beach - has given incentive to choose exactly this place for our project. This is the symbol of approach towards musical process based on meditation practice. At the same time this is allegory and aiming for creative light. Primarily the goal to create a music school didn’t exist, it was just a musical process, just solo play within the group "Algambra" (www.algambra.org ) where we used music sounds in combination with more traditional instruments: guitar, harp, percussion. However, quite often after concerts people came up to me and asked if it was possible to study to play this instrument apart from just listening to it. It is fantastic feeling! And we decided to work out particular concept of study that differs a lot from common musical schools. An interesting fact: actually, “school” specialized on teaching to play this instrument doesn’t exist. Many performers master it alone. What we do is more close to meditative practice based on performance of different patterns typical for rhythms and melodies of East, Asia and Africa. By playing on several instruments simultaneously we create particular patterns that are combined into polirhythms and beautiful matchless compositions. This type of cooperative music play on “hang-kind- instruments” is not widely spread because of lack of its availability. So, this is the first Russian project and of the few projects existing in the world. We use pans of different origin, with different tones, different “colors” – and it all allow to achieve exciting effects while performing. Although our team is quite new, we have already taken parts in different events: concerts in Moscow and outside of Moscow, in other Russian cities and CIS countries. Apart from that, we arrange cultural and training trips to many countries: India, Morocco, Bali and etc. Music of hang and other related instruments that have ethnic roots sound in a different way in different places (for example, in a tropic nature and on squares of old cities) – that allows to discover sound space again and again. Who do normally come to your classes? What kind of people? What they achieve/receive in this classes? Mostly, these are people that like music, that practice spiritual development. But, on the other hand, these are people that want to relax after working hours, they want to get into pacified environment, to find “air-grating” and to try something new. Each person has creativity motivation. What we do is kind of intuitive music, and you don’t have to have special music education for it. We all have many creative talents and collective music play gives the chance to discover and develop what is sleeping now, and especially do it in the space full of joy with new friends and like-minded persons. We live in 21st century where new ways of perception and unique solutions are substituting traditional attitude towards creativity. Almost all melodies are already played. New musical styles are appearing now, they are aimed at combination of something incomplete and separated into integrity and intuitive. We are living in the century of integrity where search of own Sound has become a motivation of all musicians. That is why origin of hang looks more symbolical and more fascinating.